801-787-1668. 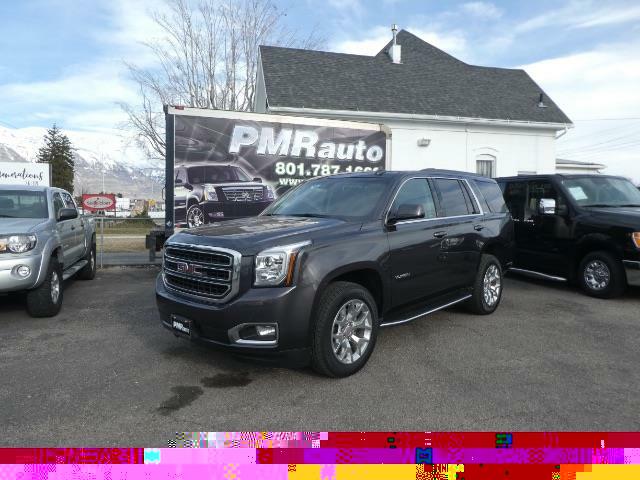 Immaculate 2018 GMC Yukon SLT 4WD. Clean Title and Clean Carfax. Loaded with Bluetooth Connection, Climate Control, Cooled Front Seat(s), Cross-Traffic Alert, Entertainment System, Fog Lamps, Heated Front Seat(s), Heated Rear Seat(s), Heated Steering Wheel, Integrated Turn Signal Mirrors, Keyless Start, Lane Keeping Assist, Multi-Zone A/C, Navigation System, Power Driver Seat, Power Liftgate, Power Passenger Seat, Premium Sound System, Privacy Glass, Rain Sensing Wipers, Rear A/C, Rear Parking Aid, Running Boards/Side Steps, Satellite Radio, Seat Memory, Tire Pressure Monitor, WiFi Hotspot YES! balance of manufacturers warranty fully-transferable at no cost to buyer from estimated start date of 2/1/2018: Basic: 36 months / 36,000 miles Powertrain: 60 months / 100,000 miles Rust: 72 months / 100,000 miles Price listed is INTERNET PRICE ONLY. Tell us you saw it on the Net. PMR Auto -- RIDE IN STYLE. Vehicle has a certified, clean & clear title. Prospective buyers are welcome to perform a pre-purchase mechanical inspection.